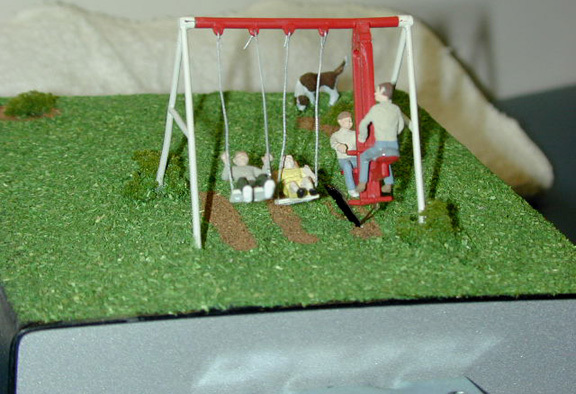 This animation includes four children riding the swings and glider as the mechanism allows them to gently swing back and forth. It may be used in a playground or backyard scene on your layout. It's a perfect companion to our see saw, merry go round, and man flying the airplane. Fully landscaped as shown. Easy installation.